Mexico Worried about Economic Impact of Illegals Coming Home! The Mexican government’s reaction to the possibility that President Trump could begin deporting many illegal immigrants back to their home country of Mexico, should tell you all you need to know about the dangers of illegal immigration. The entire nation of Mexico is worried that mass deportations could destroy Mexico’s economy. Most fearful are the border towns that would likely see the vast majority of influx from those deported. If Mexico is worried that having their own citizens back in their country could be detrimental to their economy, how should Americans react to being forced to accept more than 11 million illegal immigrants from Latin America? Tamaulipas President of the Chamber of Commerce, Julio Cesar Almanza Armas,say that Mexico is not prepared to welcome home her citizens. “We aren’t ready for it, but it has to be done. I know that they are already working on it, the local, state and federal government and the cities along the border,” he told KRGV 5 in Texas. Mexico warned its citizens living in the United States on Friday to “take precautions” and remain in contact with consular officials a day after the deportation of an undocumented mother following a routine visit with US immigration authorities. 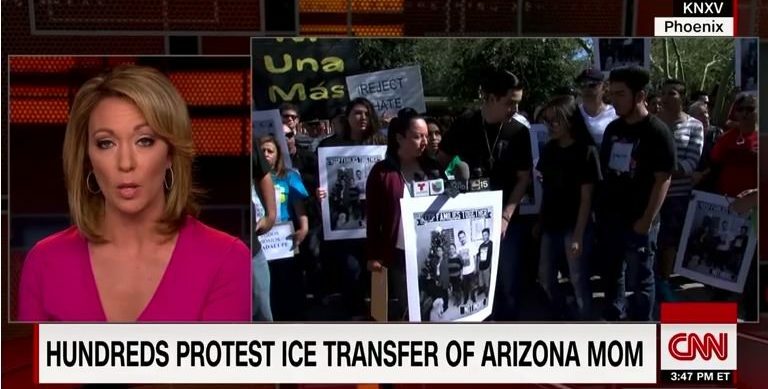 Guadalupe Garcia de Rayos, 35, was deported Thursday after she checked in with the US Immigration and Customs Enforcement office in Phoenix a day earlier.